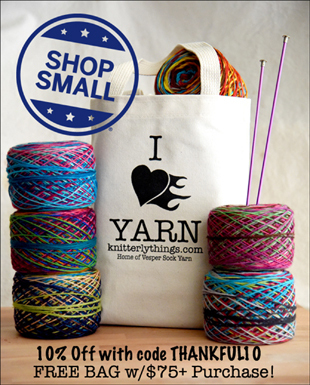 Get a FREE ‘I Heart Yarn’ Bag with $75+ Purchase. Posted in General	| Comments Off on Happy Thanksgiving!! 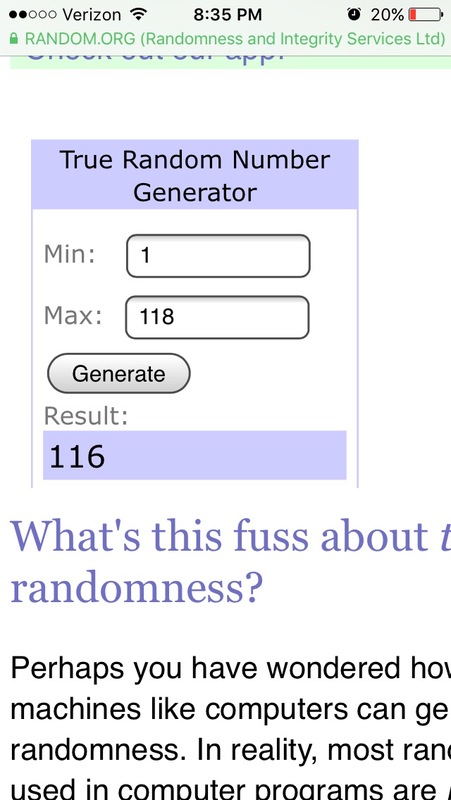 Number 116!! Lisa S! She has been emailed and is super happy! Thanks for all who left a comment! 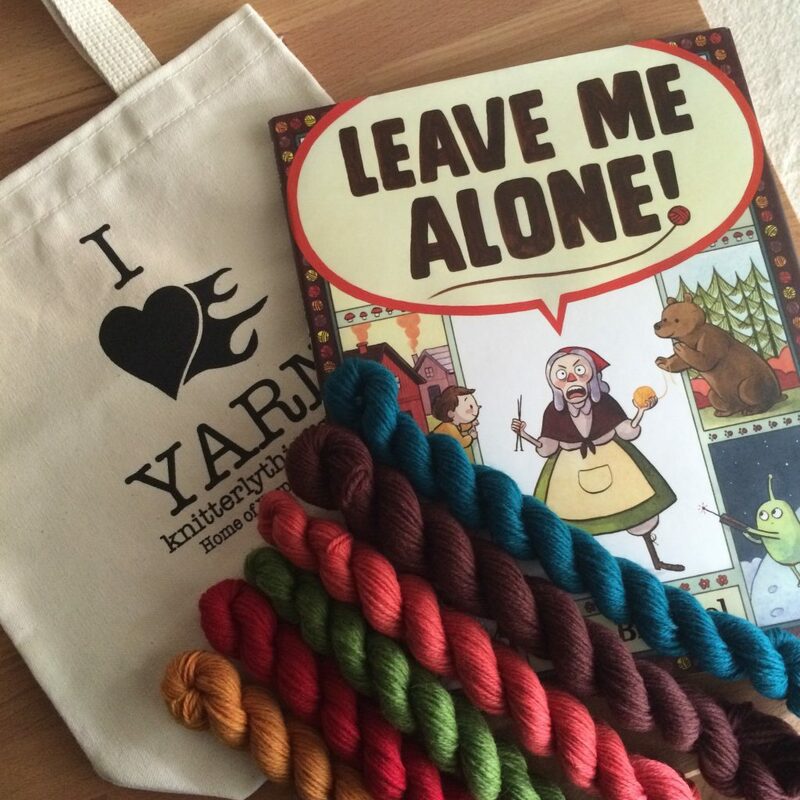 I loved reading where you all prefer to knit! 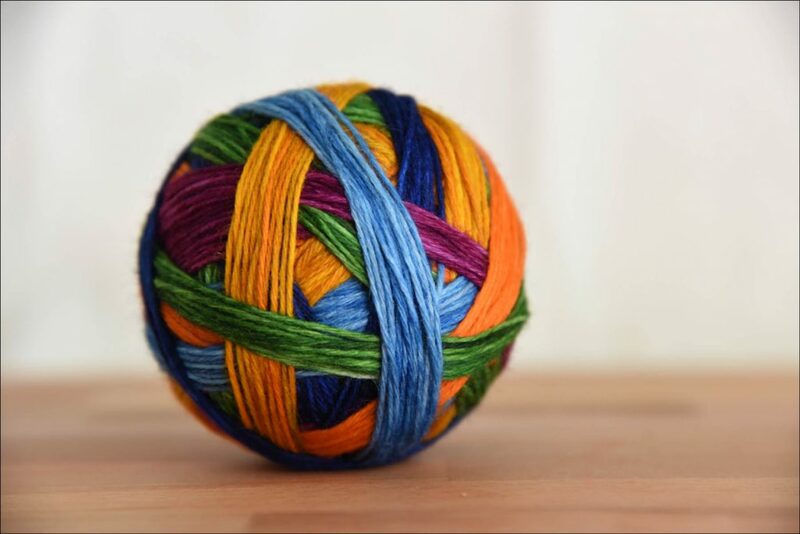 Far and away, knitting and movie watching is the most preferred! That is my favorite too, though I do usually have knitting where ever I go. New favorite colorway!! I *may* have dyed some cones ends for myself! 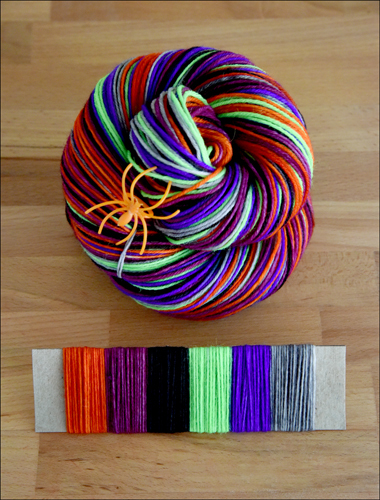 Harvest Rainbow is now in the shop, in my SW wool/Nylon base, and by the end of the month I’ll have it available in my superwash merino 2ply base. I’ve also added a few colorways too, with more on the way! Check it all out here! It’s that time again! The light is changing, the kids are back in school, and it’s almost officially Autumn. 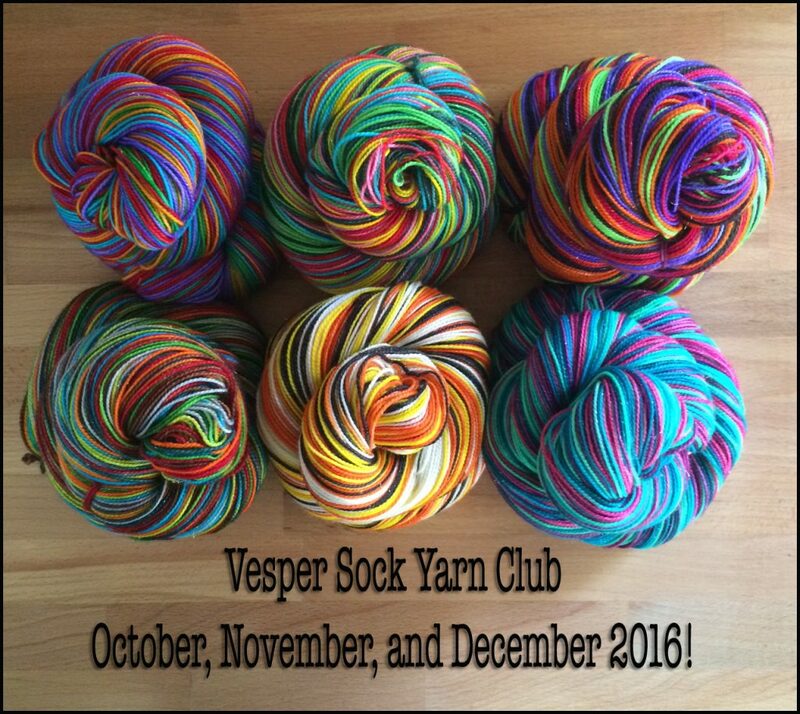 The Fall 2016 round of our Vesper Sock Yarn Club is now ready for signups! Click here for more!